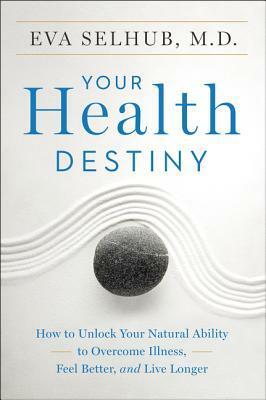 Your Health Destiny By Eva Selhub, M.D. –Autoimmune disease is one of the top ten leading cause of death in girls and women up to sixty-four years of age. –60% of your immune systems exist in the lining of your gastrointestinal tract. –CDC recommends 150 minutes per week of moderate exercise or 75 minutes of vigorous exercise. –Drink Water. According to The Institute of Medicine the adequate intake for a male is 3 liters [13 cups] of total beverages daily and for women it’s 2.2 liters [9 cups]. Eva Selhub, M.D. will be at The Brookline Booksmith on Tuesday, April 21 at 7pm. This entry was posted on April 20, 2015, 23:45 and is filed under Books. You can follow any responses to this entry through RSS 2.0. Both comments and pings are currently closed.